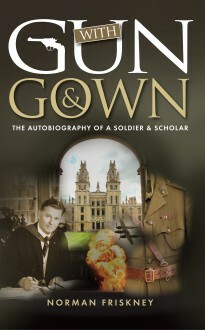 Norman Friskney’s experiences as a young man were defined by two environments which could scarcely offer a greater contrast – the halls of Oxford University, where his studies were interrupted by the outbreak of the Second World War, and the battlefields of southern Italy, where he served as a young officer in the Eighth Army and, among other more sober achievements, accidentally broke Mussolini’s bed. Following his return to Oxford and subsequent graduation he embarked on a teaching life, becoming a grammar school headmaster. His accounts of his experiences over the years include encounters with Harold Wilson, Margaret Thatcher, Roy Hattersley and the poet Edmund Blunden as well as many others who have played a part in this country’s history. They are recorded with a refreshing balance of wit and gentle wisdom.